Update: now that I no longer need a bedside organizer hanging on the wall due to lack of space for a nightstand, I have repurposed this letter holder as a cell phone charging station. Click on the link to see the previous blog entry on this organizer for another fun and cheap way to stay organized. 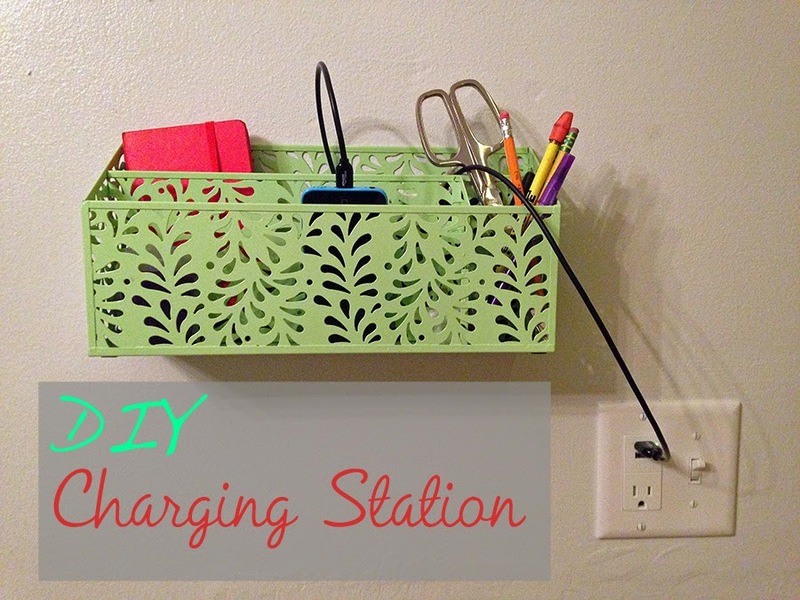 I originally found this desk caddy for $8 at a discount store, but you can find the white version of my desk caddy here. 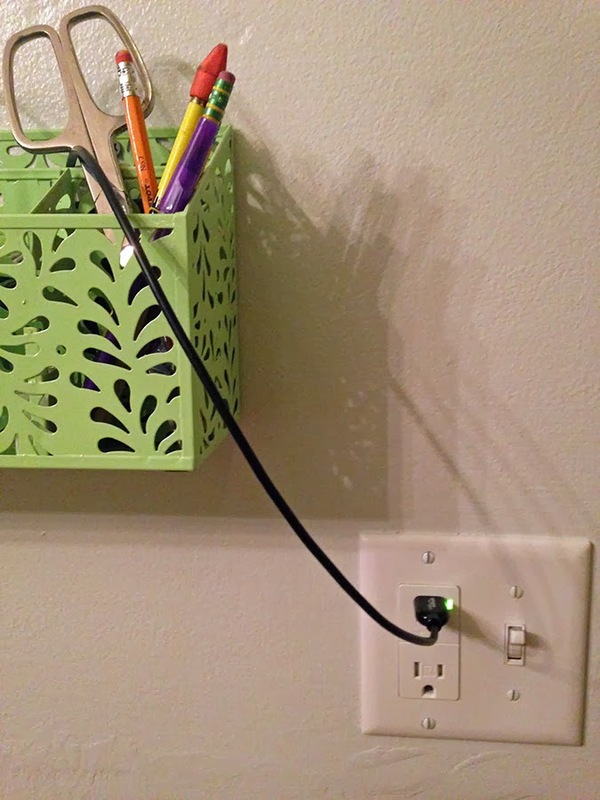 Eric had the brilliant idea to install an outlet with USB chargers in our dining room/kitchen area. This is a high traffic area and so naturally devices are likely to be charging at any given time. It was a simple and quick install that took little to no skills or time. The letter organizer is simply screwed into the wall a few inches from the outlet. It does a nice job corralling devices, cords, pens, and other important items. Other bonus – this is completely out of my young daughter’s reach.